ok, this is the last one. Own your very own Chewbacca hat for only $40! The description says it was a McDonald’s toy offer in Mexico. yea, i don’t ever remember seeing chewbacca smile like that in the movies. 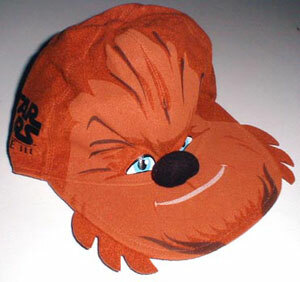 Do you think we would even know definitively that it was Chewbacca if the Star Wars logo wasn’t on the back of the hat. Without that, it could be a dog, a bear, or some random monster/creature.